Moving from NJ to El Paso is a major transition that you may want to make for work, to be closer to loved ones, or if you are tired of our temperamental East Coast weather. Whatever the reasons for your relocation, it's vital to find a good mover that meets your needs. Simonik Moving & Storage has been striving to keep customers happy since 1977. To this end, we've become award-winning agents for Allied Van Lines. This makes us part of a nationwide network of professionals who can assist with any relocation across the United States. Our commitment to quality service has even earned us a BBB-Accreditation too. Sometimes, we find that customers aren't ready to receive their items right after a move. They need a little extra time to complete the transition. If this is the case for you, Simonik can hold your household items in our secure warehouse facility for the short- or long-term. Everything is kept in long-distance shipping containers suitable for any length of storage until you have completed your New Jersey to El Paso move. As an established moving company, Simonik has served many customers throughout North and Central Jersey, including those in Hunterdon, Mercer, Middlesex, Monmouth, Morris and Somerset counties. We're a skilled, professional team that has previously earned the 'Mover of the Year' award from the New Jersey Warehousemen & Movers Association. We also make an effort to remain informed regarding the special requirements of long-distance moving, especially when it comes to helping you complete your NJ to El Paso move. Simonik is a ProMover member of the American Moving and Storage Association, giving us access to all of the most current information relevant to the moving industry. When you need help with that NJ to El Paso moving plan, call Simonik Moving & Storage. 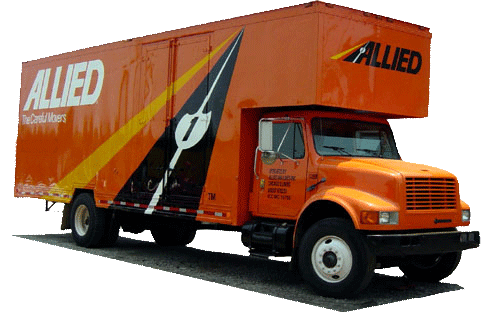 We'll explain more about our moving services and what we have to offer you. If you would like to fill out our online quote form, we'll provide you with a free, no-obligation moving estimate!